BOEING BOEING - SOLD OUT! 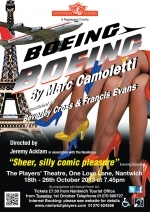 BOEING BOEING by Marc Camoletti, translated by Beverley Cross & Francis Evans. It's the 1960's and swinging bachelor Bernard couldn't be happier: a flat in Paris and three gorgeous stewardesses all engaged to him without knowing about each other. But Bernard's perfect life gets bumpy when his friend Robert comes to stay and a new and speedier Boeing jet throws off all his careful planning. Soon all three stewardesses are in town simultaneously, timid Robert is forgetting which lies to tell to whom, and catastrophe looms. Directed by Jeremy Acklam, performances will be at 7.45pm, 18 - 26 October 2013. 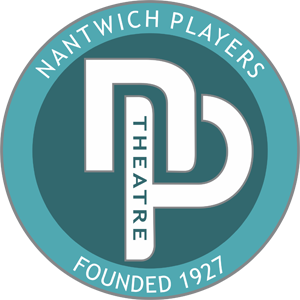 Tickets on sale Tuesday 1st October at Nantwich Civic Hall (01270 600727).